Hello. I have the car listed above with 16v with petrol engine. I bought it in October, and I had a check engine light. Went to service, it gave me P0402, EGR excessive flow and P0302 cylinder two misfire. I changed the spark plugs obviously when I bought the car, ignition coil in December and EGR valve one week ago, both new ones, and two days ago the check engine light was back. I put it on a tester, and same trouble codes. Also I got a rough idle (600 rpm), sometimes it drops even to 400 rpm when the engine is already warm, and saves from cutting off, pushing up to 1000-1200 for a second. There are no other trouble codes, besides once I got P0171 System too lean, but when it got removed it, never reappeared. What could be the problem? (On the right bottom corner you can see the dates, when the trouble codes occurred. One is with the sensor code as well, that is when we tried how the car works without EGR valve on). A partly clogged converter could cause the excess EGR flow and the lean condition as well as the misfire. Run an exhaust back pressure test and look at the O2 sensors to see if this is the case. Hello again. Thanks for your answer, but im sad it didnt work out. I've been on several places, trying to repair, they checked the catalytic converter, and that seems ok. All of them said its different problem the EGR and the misfire, so we tried adapting the EGR with a VAGCOM cable, and it seemed to work fine. The misfire after replacing ignition coil seemed to be gone, but then it came back, and also had problems with 2nd injector aswell. I've replaced it yesterday, still rough idle, and sounds like coughing. Any ideas? 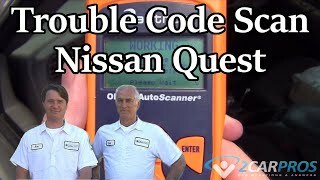 What are the exact code numbers not code descriptions that you have in the computer? P0402 EGR excessive flow, P0302 Cylinder 2 misfire, and sometimes P0171 System too lean. If you meant the other 5digit code (or maybe im wrong and not 5digit) before them, sadly now I cant check it, and with my simple OBD2 cable its not appearing. The big RPM drops seemed to be gone after EGR adaption, but its still not a stable idle, moving between 650-750, and maybe the exhaust sputtering causes the car to tremor. The next day on tester it still showed the EGR excessive flow code, but w/o check engine light, so maybe it wasnt just cleared after adaption, I dont know. I will go only Wednesday to service, i'll say them to check the vacuum leak. Havent done smoke test, how I have to do that, and what I check by that? A smoke test is a accurate way of using smoke injected into the intake and vacuum lines etc. It takes a professional smoke tester or a homemade one.I have a homemade one there expensive the professional ones. As far the code it might just have not been cleared. Those pcv a lot of the time leak excessive vacuum into the valve cover. So a smoke test won't reveal its bad. Is the misfire constant? Well I dont know how I could do that smoke test, or at my local shops they know how its done, but maybe they know how to check the pcv and the other vacuum lines. By the way after code remove, the code is not coming back for like 100-150 km, but then check engine lights on. The sputtering by the misfire is not constant, its not having like a rhytm or I dont know how to say that, and also the RPM has a few stable moments, but mostly running rough on idle. During driving I cant experience that, there is no loss of power or anything like that, just moves almost like a 105hp car should move. When the engine light comes on, the engine is working with 3 cylinders, the lose of power and stability feels obviously, but on engine restart its like everything fine, except the idle rpm and the exhaust caughing. Swap the coil from number 3 to number four and see if the misfire moves to number four. Also a shop should know how to perform and smoke test. The cylinder 2 is the faulty one, I mean thats the one with fault codes. I've tried swapping sparks, ignition coils, injectors, but the misfire remained there. Have you performed a compression test yet? Yes, and the compressions were ok on all cylinders. Vacuum leaks can cause a Miss fire also. I'll go Wednesday to the service, and im going to ask him if he can do the smoke test, or if he got any tricks for vacuum leak test. After that im coming back with the result. Thanks alot. Smoke is the best way to find vacuum leaks. Yes I hope he can do it. And also i'd ask something, the vacuum leak can cause the rough idle and the exhaust coguhing-sputtering? It sure can cause all that also check the pcv that can cause all that also. I hadn't been driving this car for a while, but my mom did, the codes has been deleted several times. Now the check engine light is gone, no more codes (on 600+km, before it came back after 100-150km), no more RPM drops to 400-500, it has a stable 800, but I still have the exhaust sputtering, the rough idle, and also what I noticed, when the brake pedal gets depressed, I hear a hissing noise. Checked most of the vacuum lines, one of them was manually fixed, with insulating tape and cable tie, thats the vacuum pipe which is at the brake booster (like the serviceman told me, tomorrow im going to check it and take a picture of it). That pipe can cause the break pedal hissing noise, the exhaust sputtering and the rough idle aswell? Also is it real, if I clear a code 50 times, it wont come back? Thank you very much. Iam not sure what your asking about the 50 times part.A vacuum leak with cause a rough idle high idle could cause misfire etc. If it was hissing when stepping on the brake I would think the brake booster is leaking vacuum. But fix the vacuum leak to the brake booster for sure. So this is the leak, i tried fixing it, i dont know if it worked or not. Something what i've noticed, when the AC is off, RPM is around 600, exhaust sputtering, rough idle, but when its on, RPM is around 800, no exhaust sputter, relatively ok idle. https://youtu.be/KGE299_Lz6I Here is the video to prove. What can cause this? I've called today 3 different servicemans, none of them had an idea why is this. If there is a barb on each end of that hose under the hard plastic line you can replace the hard plastic line with a rubber hose. 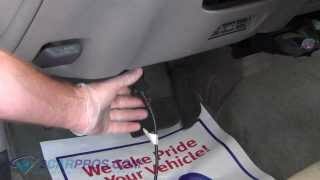 Also again a vacuum leak could be causing all those issues start by fixing that vacuum leak. You might just have to get a new hard plastic line.